1. Kate Bowler’s new op-ed in the New York Times this week is one for the ages. Bowler, who we’ve written about before, was diagnosed with stage IV colon cancer at 35, having just had a baby. She is also a professor at Duke Seminary, her research and first book on the history of the American Prosperity Gospel. In this op-ed she tackles the difficulty of conversations with someone like herself, how she represents the “Angel of Death” to most people, which prompts friends and family and acquaintances to awkwardly stumble around a difficult reality they spend much of their life avoiding. What follows from these encounters is all sorts of unhelpful discourse. Next is the teacher, the one who treats your bad news like an opportunity for learning. And then you have the solver, the certain one, the one who must make sense of how/why your personal calamity fits into the grand scheme of things. There is always a nutritional supplement, Bible verse or mental process I have not adequately tried. “Keep smiling! Your attitude determines your destiny!” said a stranger named Jane in an email, having heard my news somewhere, and I was immediately worn out by the tyranny of prescriptive joy…There is a trite cruelty in the logic of the perfectly certain. Those people are not simply trying to give me something. They are tallying up the sum of my life — looking for clues, sometimes for answers — for the purpose of pronouncing a verdict. But I am not on trial. Another thing Bowler mentions in passing but does not go in detail about, is the fact that this experience of tragedy immediately initiates you into the realm of ministry. Just look at the comments section of her article: everyone is hurting, and looking for some form of acknowledgement! Goes without saying that we’ll be ordering a copy of her new book this month. It isn’t the unrepentant cheating that makes him detestable—or even his thing with avocado “ice cream,”or that he’s from California, or that he wrote a book called The TB12 Method: How to Achieve a Lifetime of Sustained Peak Performance, or that he tried to sell people $99 science-pajamas, or that he has a controversial bromance with Donald Trump, or that he’s so wishy-washy about that bromance, or that he married a mega-successful knockout supermodel, or that he has a $44 million salary, or his 66,159 passing yards, or his five Super Bowl rings, or the fact that he is some kind of football-savant Benjamin Button who ages in reverse and physically cannot stop winning. Actually, wait, it is the winning thing. It’s totally all the winning. 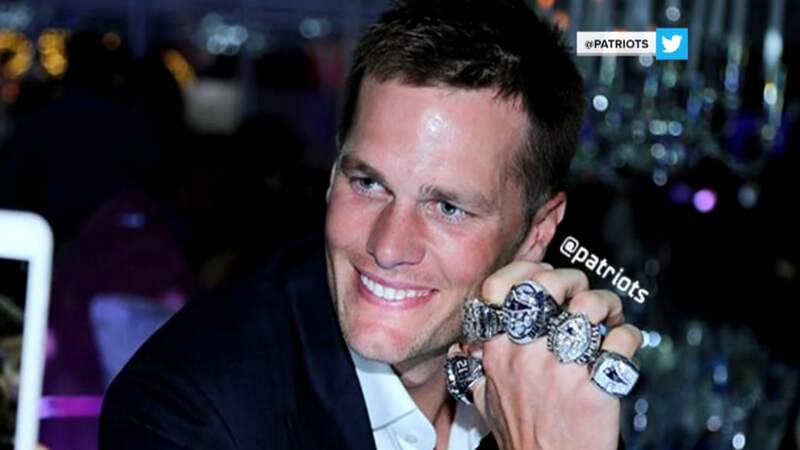 Tom Brady is eminently hateable because he’s so damned good. 3. Another inspired devotion from Stephen Freeman about the incompatibility of the spiritual life with self-help. Fr. Freeman discusses the “problem-solving,” success-oriented mentality of self-help, and how the spiritual life never works that way. To his mind, it never “works” at all. We look to our faith to solve problems. Whether we suffer from psychological wounds, or simple poverty and failure, we look to God for help. The spiritual life, and the “techniques” we imagine to be associated with it, are the means by which we “help ourselves” (God will do the rest). In contrast, Freeman suggests that faith (especially in the Christian God) runs counter to the always-improving notion of modern life. Christianity should not and properly cannot be a subset of the modern lifestyle. Most likely, if carefully followed, it will ruin all our modern plans. Well and good! The Kingdom of God will not be populated by the successful, the well-adjusted and the wise. It is the failures, the foolish, and the fragile who will enter ahead of us, or at least those who were willing to risk their lives in such a manner. The modern narrative is not only false, it creates expectations that are never truly met… If you are having a difficult time, you are not alone. It is the very nature of human life. That same struggle, however, united with Christ in His Cross, becomes transformative – not in the manner that the world expects, but in the likeness of the Crucified and Risen Christ. Dr. Santos speculated that Yale students are interested in the class because, in high school, they had to deprioritize their happiness to gain admission to the school, adopting harmful life habits that have led to what she called “the mental health crises we’re seeing at places like Yale.” A 2013 report by the Yale College Council found that more than half of undergraduates sought mental health care from the university during their time there. It’s a positive psychology class, and has a lot of the self-help mentality that we just criticized above, but what’s more important is the cause underlying its popularity: the prevailing performancism in young adults on college campuses. What does it say that this course is the most popular course in Yale’s 300-year history? That kids are crying out for relief? Or that happiness can become yet another emblem of that next achievement? 5. A story of grace in the sentencing of Michael B. Hill, a 21-year-old with a history of mental illness and suicide attempts, and also a surviving victim of child abuse, who was arrested in Georgia over a year ago for seizing an elementary school. Hill, who never intended to harm students, was hoping to end his own life by provoking police into a firefight. The plot was undone because of Antoinette Tuff, the school’s bookkeeper, who persuaded Michael not to hurt himself and to surrender to the police. SAINT MICHELLE OF NEW ROCHELLE: Did not untag herself in any of the forty-three pictures her mother posted of their Thanksgiving dinner. SAINT ASHLEY OF MADISON: Had a political conversation on Twitter without invoking Hitler or grammar. SAINT CHALMERS OF UTICA: Saw The Last Jedi and did not share his uninteresting opinion. It is my great desire to walk around this summer’s General Convention with a mic, sweetly asking people, “Are you a cradle Episcopalian?” and then yelling “No one cares” as they begin to answer. -Matt Milliner wrote a great review of Mark Mattes’ new book, Martin Luther’s Theology of Beauty. -Not to be missed: New episode of The Mockingcast now up on iTunes, in which Sarah, RJ and DZ discuss a number of the items above: “Cradles, Quarterbacks, and the Angel of Death”. Subscribe by clicking here. -Last but not least: Is the “Early Bird Special” dead?